The U.S. Treasury made the wheat penny as a tribute to President Abraham Lincoln. The first wheat penny debuted in 1909, exactly 100 years after Lincoln’s birth. The last wheat penny appeared in 1958. After 1958, the Lincoln Memorial design replaced the wheat design. 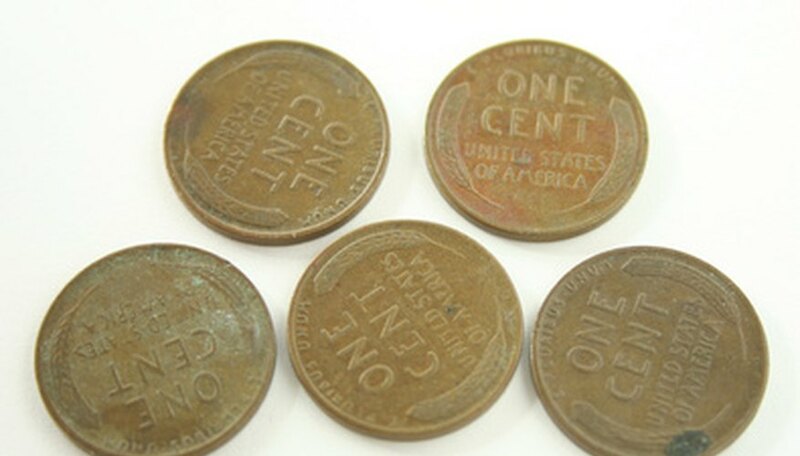 Although most wheat pennies are worth no more than a few cents, some are worth up to $250,000. If you have a wheat penny, there are many resources available to help you determine its value. Examine the condition of the penny. Pennies in mint condition are worth much more than pennies that look old or worn. If your coin already looks old, consider restoring it. Although coin restoration will not restore the shine and luster of a newly-minted penny, it can remove any stains or rust, thereby increasing the penny’s value. Find the year of the penny. Most wheat pennies are worth no more than five cents, but pennies from certain years are worth much more. Mint condition pennies from 1909, 1914, 1931, 1941, 1946, 1951, 1952, 1955, 1956, and 1958 are worth anywhere from $2 to over $1,200. If you have a 1943 copper penny, guard it closely because it could be worth up to $250,000. In 1943, World War II was on, and the government needed copper for the shell casings of guns and other weaponry. So, for that year, the treasury used steel but accidentally minted a few copper pennies. Most 1943 pennies are frauds, but if you have an authentic one, guard it closely. Find out where the penny was minted. Not all pennies have a mint mark, but if yours has one, look for it under the year. Look for an "S" or a "D." An "S" means the coin was minted in San Francisco whereas a "D" means it was minted in Denver. For the 1909, 1914, 1916, and 1922 pennies, the place of minting determines the value of the coin. Do your own independent research. Read coin collecting books to learn more about how coins are graded. The grade of the coin is one factor that determines the coin’s value. Since wheat pennies are the most frequently collected coins, coin collecting books include a plethora of information about them. They usually include a table showing all the wheat pennies from 1909-1958 and their values. If you have further questions, visit numismatics forums in order to communicate with people who collect coins. Take the coin to a professional coin dealer. Doing your own independent research will give you a rough idea of how much your coin is worth, but a professional should be able to give you a clearer picture. To get the most accurate estimate, seek a second or third opinion. What Are Wheat Pennies Worth?